President Jacob Zuma replaced Finance Minister Nhlanhla Nene with ANC MP David Van Rooyen last night. Van Rooyen is the whip of the standing committee on finance and whip of the economic transformation cluster. He was a former Umkhonto we Sizwe operative in the 1980s and has held a number of leadership positions in the ANC from 1994 to 2007. Van Rooyen is a former executive mayor of Merafong Municipality and a former North West provincial chairperson of the South African Local Government Association. He has an advance Business Management Diploma, a Diploma in Municipal Governance, a certificate in Municipal Governance, a certificate in Councillor Development, a certificate in Municipal Finance, a certificate in Economic and Public Finance and a Masters Degree in Public Development and Management. In July 2014, the University of London conferred a MSc Finance to Van Rooyen. In a statement last night, Zuma said Nene would be deployed to another "strategic position". This would be announced in due course. 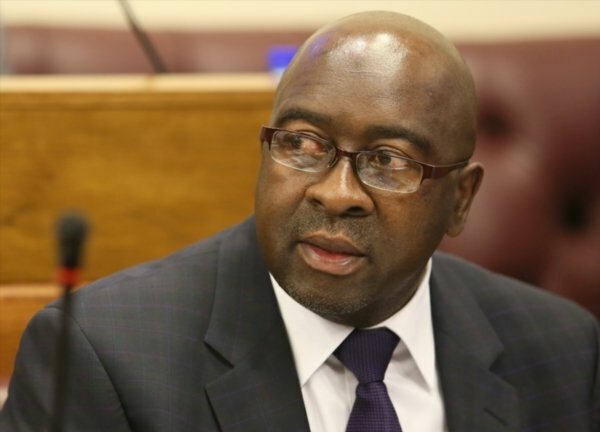 "Mr Nene has done well since his appointment as minister of finance during a difficult economic climate," said Zuma. "Mr Nene enjoys a lot of respect in the sector locally and abroad, having also served as a deputy minister of finance previously." The president wished Van Rooyen all the best in his new appointment.